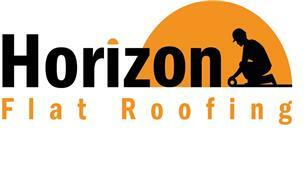 Horizon Flat Roofing - Fascia/Soffits/Guttering, Roofer based in North Shields, Tyne and Wear. Horizon Flat Roofing has been established and trading since the summer of 2017, and have over six years of combined flat roofing experience between our excellent roofers. Our diligent, conscientious approach to EPDM rubber membrane installation and customer service are what we feel to be refreshing, stand-out qualities in this industry. We also carry out fascia and guttering repairs and replacements. We are Permaroof-trained installers of Firestone EPDM rubber cover. As such, the rubber membrane comes with a 20 Year Warranty and an expected 50+ year lifespan - adding value to your property and giving your roof a smart, smooth, modern finish. Being heat-free and seamless, the EPDM installation is safe, clean and long-lasting, proving unquestionably to be a cost-effective upgrade to older, less durable felt roofing systems. We are known for our great customer service, reliability and high standard of work.